It’s not just this week’s sunny weather that’s got us feeling optimistic. There’s some good news for people and nature coming out of Olympia this legislative session, in the form of real potential for action on climate change. As we wrote when the Legislature convened in January, we’re in the marble halls on the hill above Capitol Lake in Olympia every day, working as your voice in support of pragmatic solutions to climate change and other environmental challenges. This week, several climate-related bills we’re advocating for cleared key hurdles, as others continue to make their way through the legislative process. Washingtonians young and old support climate action now for a healthier future. One of our next generation of leaders discovers treasure on Alki Beach in West Seattle. Photo by Jeff Marsh. We congratulate our friends at Front and Centered for their hard work on the Healthy Environment for All (HEAL) Act, and we’re excited about this important step toward environmental justice in our state. We’re also supporting a measure to accelerate the transition to a clean energy economy in Washington and a bill to make gas and other transportation fuels – and the air we breathe – cleaner. We’re hopeful about the progress of a bill to make our buildings more energy-efficient, too, which you can read about in a recent Seattle Times Op-Ed. As a member of the Environmental Priorities Coalition, we join more than twenty other groups to speak up for a suite of top priorities for a cleaner, healthier future for all Washingtonians, now and into the future. Learn what’s moving on Twitter at @EPCtweets. These are only a few of the exciting proposals making their way through the Legislature, and we’re proud to support them with our advocacy efforts. We work alongside partners to advance many shared priorities, and it’s no surprise that many of the climate-related bills moving forward have such momentum, thanks to the strong coalition built around Initiative 1631 in the last couple of years. 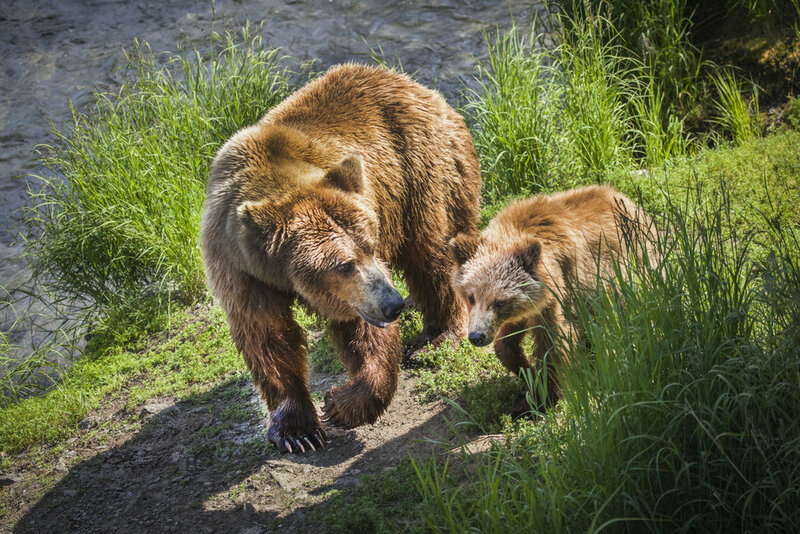 A mother brown bear and her yearling emerge from the river after fishing in Katmai National Park in Alaska. The salmon that nourish them depend on cool, clean water and a stable climate. Photo by Jennifer Leigh. If you’re inspired to speak up for people and nature too, now’s the time to get in touch with your legislators in Olympia! Find your district and legislators here, or visit our Advocate page to learn more. Older PostWhat is a Community Forest?